MoviePass made a big splash at the outset of this year’s Sundance Film Festival by announcing their plans to co-acquire titles with film distributors. After passing the 1.5 million subscriber mark earlier in the month, the movie-theater subscription service was already guaranteed to be a constant topic of debate among attendees, most of whom were questioning the company’s business model and future viability. 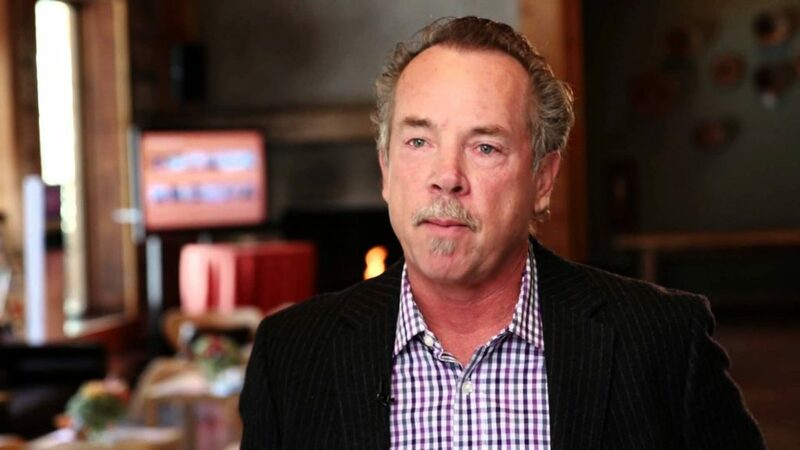 Even before the festival drew to a close in Park City, Utah earlier this week, MoviePass managed to refocus the conversation and once again generate a flurry of headlines (i.e. free publicity). This time it was for escalating their ongoing tiff with AMC Theatres by removing ten of the chains higher profile theatres from its service. The move, initially unannounced, caused MoviePass subscribers to blame AMC for blocking the service, which in turn forced AMC to explain they were not the culprit. At this point it may help to remind everyone that AMC has had an on-again, off-again relationship with MoviePass since the service first tried to launch in 2010. By December of 2014, when the service cost about USD $35 per month, AMC announced a trial partnership with MoviePass in specific locations. The relationship is definitely now in the off-again mode. In fact, it’s been downright contentious since MoviePass was acquired by Helios and Matheson Analytics Inc. (HMNY) last August and lowered it’s price to USD $9.95 per month in a bid to attract millions of subscribers. At the time, AMC feared MoviePass commoditized moviegoing and went on the record stating that its business model was “not in the best interest of moviegoers, movie theatres and movie studios.” The circuit even tried to figure out a legal way to prevent MoviePass from being used at its theatres. Because MoviePass subscribers use a MasterCard to pay full price for cinema tickets, there was no easy way for AMC to block the service. There is (to date) nothing but anecdotal evidence to buttress the claim that MoviePass subscribers went to competitors. 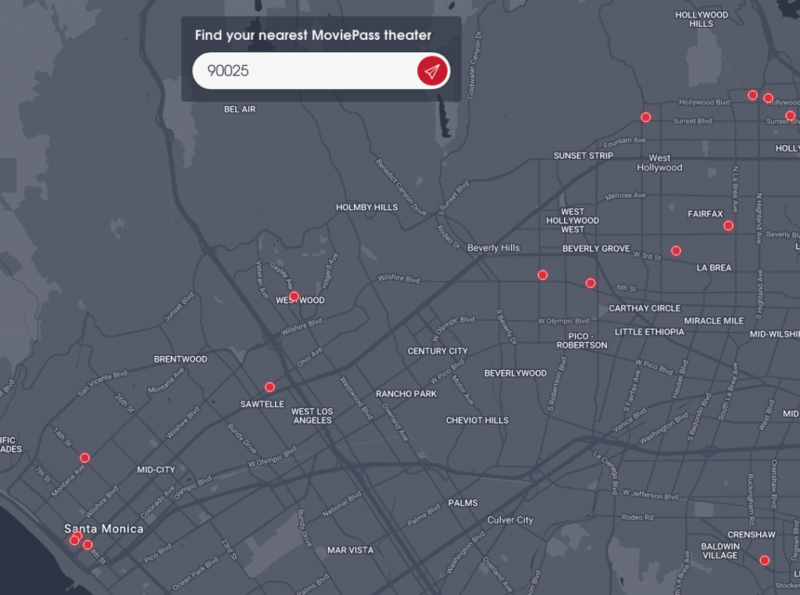 In the case of the AMC Century 15 in Los Angeles, the nearest competitor is a Landmark Theatres location which is not a part of the MoviePass service. The nearest Regal is all the way in downtown Los Angeles, whereas two smaller AMC complexes are all the way in Santa Monica. This leaves Pacific Theatres at the Grove as one of the few multiplex (non-arthouse) options in the Los Angeles basin (not the San Fernando Valley); a place with a heavy moviegoing population, many of whom are out of work actors, writers and directors with plenty of time on their hands to enjoy their MoviePass subscription to its fullest. This is why MoviePass skeptics like to point out that the company was previously probably losing a ton of money at the high-traffic theatres it removed from the service. Lowe waved off any suggestion over usage had anything to do with the decision and instead cites how successful MoviePass has been at driving traffic to cinemas, especially AMC. He reports the company purchased 1 million tickets from the chain during the past month amounting to an estimated USD $14 million. We know that we currently represent approximately 62% of AMC’s operating income, assuming that AMC is flat year over year. This equates to USD $34.4 million of gross profits to AMC in the upcoming quarter. On an annualized run rate basis, that’s over USD $135 million to AMC’s gross profits – which doesn’t include concession sales from MoviePass subscribers. In publicly disclosed 2017 financial documents, AMC claimed each customer spends USD $4.88 on concessions each visit – meaning MoviePass subscribers could bring an additional USD $17.1 million in AMC concession revenues for Q1 of 2018, which on an annual run rate means USD $68.4 million more — an annualized run rate going forward of over USD $203.4 million revenue from MoviePass subscribers. Farnsworth is throwing a lot of numbers around here and provides only the roughest of math. Indeed, several people noted that he was comparing gross income (the money being provided to AMC by MoviePass) against net income (the amount of operating income AMC is left with after paying expenses). The Verge (among others) argued that if you compare the admissions paid to AMC by MoviePass, against the circuit’s gross admissions revenue, the amount the subscription service contributes to the exhibitor’s revenue drops to 4.2%. AMC has taken no action to block the acceptance of MoviePass at our theaters. We have no further comment about MoviePass’s unilateral actions. We are, however, disappointed that MoviePass continues to make false statements about AMC, including recently when MoviePass greatly exaggerated its contributions to AMC’s profitability. What MoviePass wants from AMC, and other cinema operators, is a cut of the movie ticket and concession sales its subscribers generate. Several sources tell us the company is asking for USD $3 per ticket and 20% of concession sales. Lowe says the company has already entered into agreements with 1,000 independent cinemas wherein they receive the USD $3 rev share on tickets and 25% of concession sales. We couldn’t find an exhibitor brave enough to admit they have struck a deal with MoviePass under those terms and it was not for lack of trying or coaxing. Most used phrases like “over my dead body” or “you and what army” when it came to the suggestion of sharing in concession sales. Likewise, every distributor we spoke with maintained that no exhibitor in their right mind would ever give up a part of their concession revenue. Sharing in concessions is the elusive golden ring studios have long sought to grab hold of and, despite decades of attempting various schemes, they’ve never been successful. Lowe doesn’t see why the concept is such a non-starter. “If you take a small percentage of that increased profit and share it with us, that would ensure that we could continue to drive more activity to the movie theater business,” he told Vulture. The exhibition business operates on such small margins already though, so it’s hard to fathom operators wanting to give even a fraction of a percentage away to a third party. For instance, AMC’s margin in 2016 (a halfway decent year) was a mere 3.45%. Since, the average ticket price MoviePass paid to AMC was USD $11.88, the USD $3 rev share on ticket sales amounts to roughly 25%. AMC meanwhile earned about 64% of its gross revenue from ticket sales during that same year. Thus, if MoviePass’ 25% ate away at that 64% admissions revenue figure by even one percentage point it would amount to USD $20.5 million. While that figure would only lower AMC’s operating margin by that fraction of a percent we mentioned earlier, ask any exhibitor, no matter how large they are, if they want to give away USD $20.5 million to a third party. Only a significant volume increase could justify such a payout and even then there is always going to be the lingering question of whether AMC is giving away ticket revenue to attract patrons who would otherwise been happy to pay the full price. Increasing volume is exactly what MoviePass is attempting to do on multiple fronts. The company loses money on almost every ticket purchased through the service and won’t be profitable until it has between three and four million subscribers. Seeing how its app in the iOS App Store has ranked in the top 300 apps (out of millions) for some time now is a sign such subscriber goals are achievable. Fransworth says only about 7% of the current subscribers are considered heavy users; those who visit theatres several times a month. It’s no secret MoviePass is also counting on a certain amount of breakage – months in which subscribers pay for the service but don’t use it. You know, kind of like what most of us do with our health club memberships around March of each year. In the short term, MoviePass is trying to increase the volume of moviegoers to titles it markets through social media, emails and their mobile app. Lowe says that MoviePass accounts for 3.5% of the ticket sales for the average film release. However, when the company markets a film, that figure jumps up to between 5% and 12%. In recent interviews Lowe has said MoviePass cut deals with four studios to market films, though he doesn’t say which studios or which releases. One source tells us these are milestone and/or cost-per-action deals in which MoviePass doesn’t get a set fee, but only earns an amount based on targeted sales goals. This might be ideal for distributors who don’t want to risk anything financially unless MoviePass is able to increase attendance significantly beyond what is forecast. 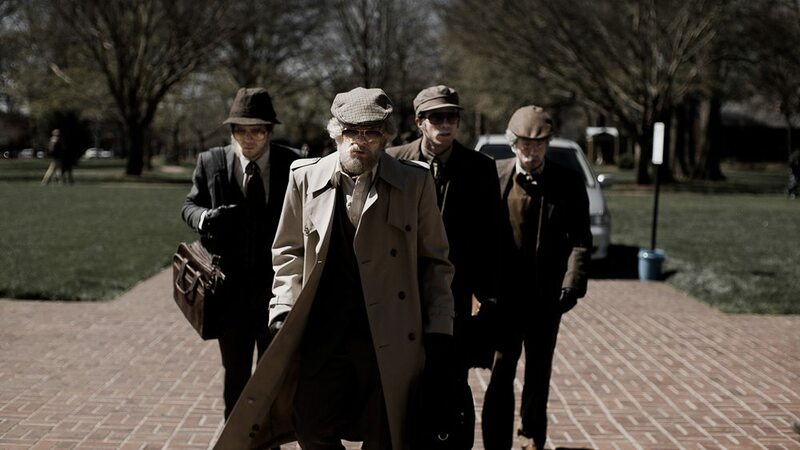 “American Animals” acquired by The Orchard and MoviePass at Sundance. The company is even hoping to increase the number of movies playing in theatres. At Sundance they teamed up with the distributor The Orchard to acquire the art-heist film “American Animals” for USD $3.5 million. MoviePass is betting on their ability to promote movies and increase attendance to releases in which they have a financial stake. Their vertical integration strategy extends to home entertainment and there has even been whispers of developing a streaming service. And did we mention how MoviePass plans to sell and use the data they collect from their subscribers moviegoing habits? Studios we have spoken with say they will never pay for data relating to their own releases or which they believe exhibitors should be sharing. If the data can add quantifiable value to a film’s box office you better believe distributors will change their mind and start haggling over price. Still, to successfully pull off such lofty agendas requires time and capital, not necessarily in that order. Helios & Matheson had hoped to file an initial public offering for MoviePass by the end of the first quarter of 2018. That doesn’t seem to be in the cards, as Helios & Matheson, which is publicly traded on NASDAQ, filed a USD $400 million shelf registration with the SEC on January 25th allowing it to sell stock, warrants, etc. up to that amount for the next two years. This tactic is often used by companies to avoid having to IPO a subsidiary yet till raise capital and investment. The amount is nearly twice as much as HMNY’s current market cap of USD $202 million. All of this is being executed under a cloud of doubt from all sides that MoviePass can remain a viable entity for very long. A majority of exhibitors, distributors, even their own customers, are all assuming the company won’t last very long if the price of a monthly MoviePass subscription continues to be less than the average cost of a single movie ticket. There may be no better indication of the dire predictions for MoviePass’ future than those made by short sellers on Wall Street. Traders wagering against the company have snapped up 54% of Helios and Matheson’s available shares, placing a USD $27.4 million bet that its stock price will decline from its current USD $8.63. That’s a far cry from the USD $1.4 million of short sales against HMNY in July of 2017 before they acquired MoviePass. Surely, if there’s one thing we know is true about MoviePass, it’s that they would like nothing more than to prove their naysayers wrong. Tags: AMC Entertainment, MoviePass, Helios and Matheson Analytics, Mitch Lowe, Ted Farnsworth, "American Animals"